Sometimes, an athlete from Maine will perform well at an out-of-state college, and you'll hear people say that it's great for Maine kids to be doing such things. Sometimes, an athlete from Maine will perform well at an out-of-state college, and you’ll hear people say that it’s great for Maine kids to be doing such things. What Matt McClintock is doing is in a different territory altogether. He’s not just doing well for a Maine kid — he’s doing well for anyone in his sport. 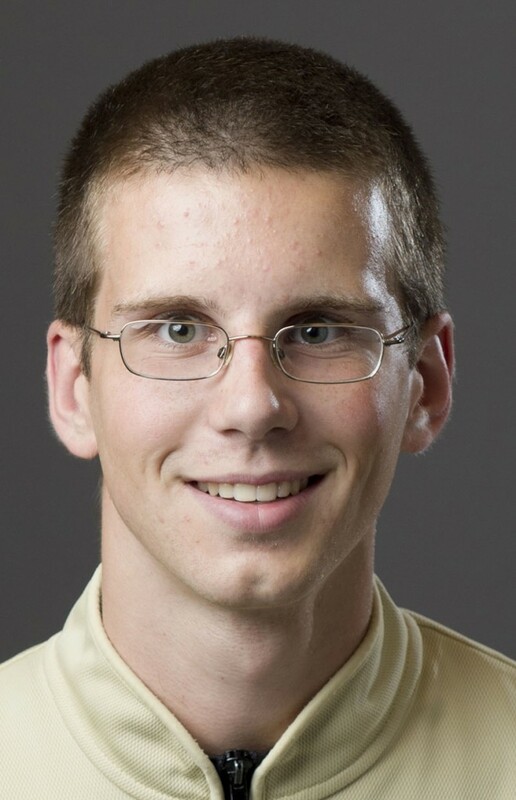 McClintock, an Athens native and Madison Area Memorial High School graduate, recently finished his freshman cross country season at Purdue University. He won his first collegiate race, won another a month later, and finished eighth at his NCAA regional, qualifying for the national championship as a freshman. “I was able to come in and perform at a level I didn’t think was going to be possible,” McClintock said. McClintock said when he chose Purdue that his plan was to get on a path toward the 2016 Olympics. After running faster than many people who were ahead of him, he feels he’s more on track now than even a few months ago. While all college student-athletes have to adjust to the school-practice-social life juggling act, McClintock had to get accustomed right away because he was competing in a fall sport. On the courses, McClintock’s main adjustment was that what worked before doesn’t necessarily work now. He could run faster than anyone else in Class C and Mountain Valley Conference meets, but now has to make quick decisions while competing. During the fall, McClintock kept making rapid improvements to his times. 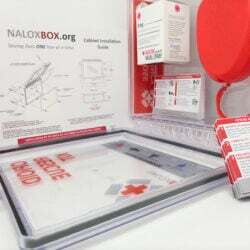 Between Sept. 14 and Oct. 12, he dropped his time in the 8-kilometer race from 24 minutes, 58 seconds to 24:12. McClintock was even better at the Big 10 championships at Michigan State on Oct. 28. He finished the 8K race in 24:04 for another personal record. McClintock finished eight overall. All seven runners ahead of him were seniors. In fact, he was the only underclassman in the top 15. 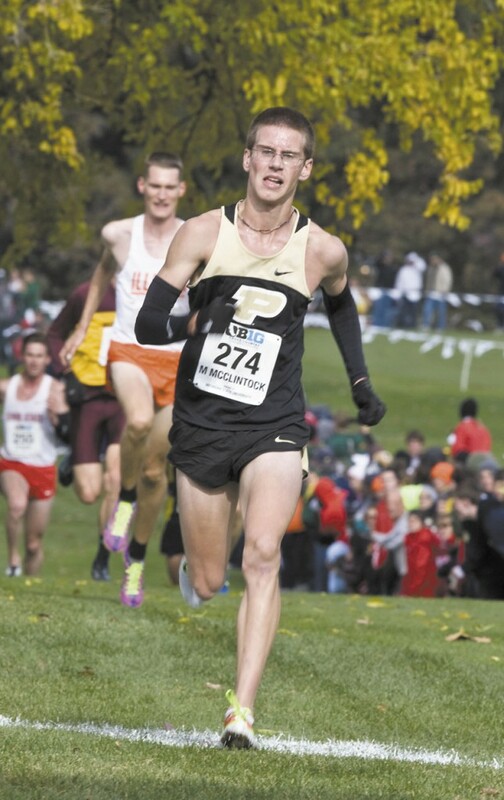 He was the first Purdue runner to finish in the top 10 at regionals since 2005. At the NCAA Great Lakes Regional, McClintock ran the 10K distance for the first time and again placed eighth. At nationals eight days later, he improved his time by 12 seconds, and took 103rd overall and 11th among freshmen. McClintock’s roommate, fellow Purdue freshman Johnnie Guy, was 183rd. This spring, McClintock’s goal is the International Association of Athletics Federations World Cross Country Championships, March 24 in Bydgoszcz, Poland. To get there, he’ll need to qualify at the U.S. Junior Nationals in St. Louis.